Yesterday two of my on going project, Let's take a walk & My favorite Grandmother converged into one. 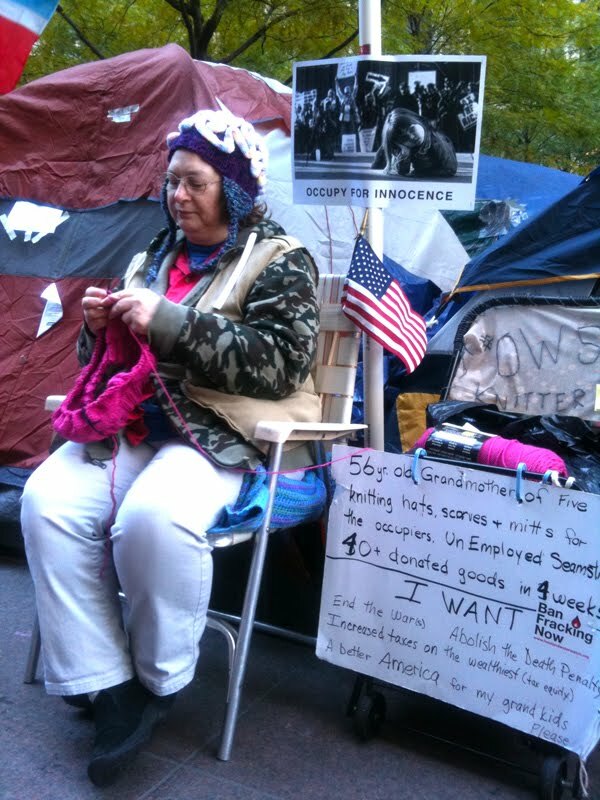 the knitting grandmother, Everyday for the last 39 days Marsha has been knitting for Occupy Wall Street. With the weather turning colder the people living in the park will be very happy to wear her knitted gloves, hats and leg warmers. 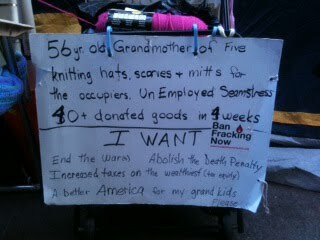 Marsha's grandmother taught her to knit, now she is teaching her craft to her 16 year old granddaughter as well as to the people in the OWS. Inspiring. 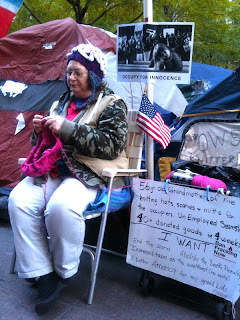 Donation of yarn welcome. You know where to find her.